Your “life song” is like a mantra and consists of an accumulation of syllables that is as unique as your social security number. A song like this transforms confused thoughts, judgements and feelings into a harmonious pattern. Whenever we sing our “life song”, the “monkey mind” will go silent. This way we create space for a growing consciousness. 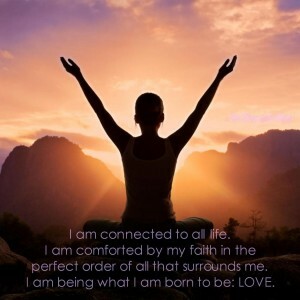 By regularly singing our ”life song” we will come closer to our core being, our essence. We can heighten the effect by combining the singing of our “life song” with the sound of crystal bowls. Inspired by M.L.Gaynor, I use a method that finds its origin in the vocal traditions of the Native Americans, the Tibetans and the Hindus.